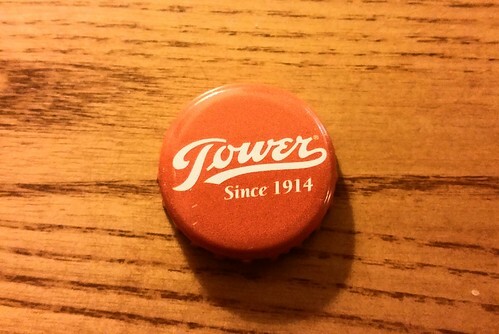 A bottle cap on the table. I don't know that I strong reason for including this photo (though then again, many of the others in this project have been equally irrelevant). But I happened to be at dinner at one of my favorite restuarants, Scratch Kitchen in Salem, and I ordered a root beer--something I don't order too often, but once in a while, I certainly enjoy. Scratch Kitchen sources all of its foods from local vendors (pretty much through companies in New England) and so that includes Tower soda. When the soda came out (in a bottle), I twisted the cap off and just placed it on the table and for some reason, with the way it it, I thought that it needed to be captured. I do like the shadow cast by the bottle cap that is almost as long as the object is wide, which is surprising since the cap is so thin that to have any shadow is surprising. I also liked the red/orange cap and how it draws out similar colors in the wooden table.